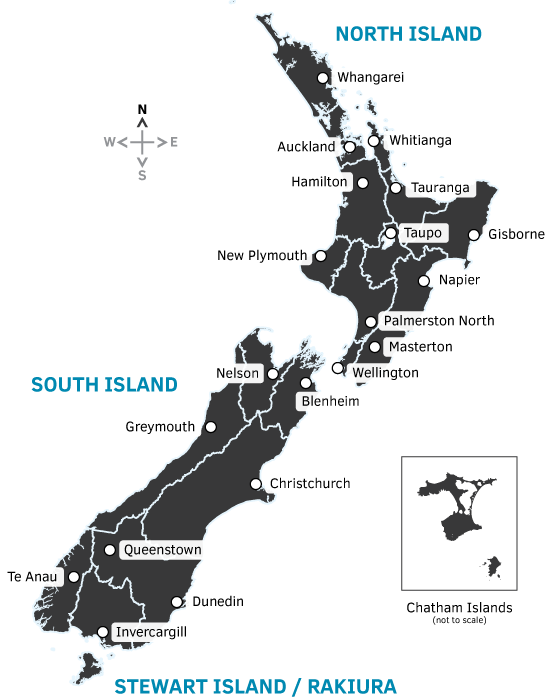 SouthernJourneys - A Guide to driving in New Zealand. Driving in New Zealand is pretty easy, but may be different than what you are used to. 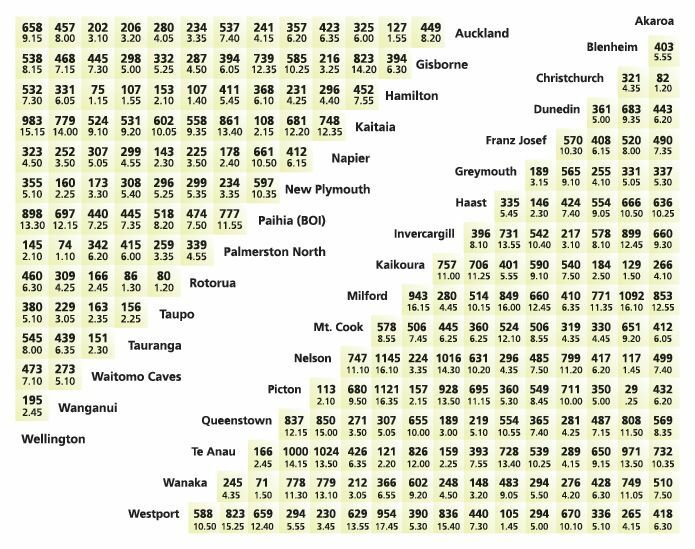 Distances between towns are relatively short, traffic is light (except for Auckland), and the roads are usually in good condition, though there are few multi-lane highways in the country. There are brief stretches of motorway around the major cities, but elsewhere the highways are single-lane in either direction and pass through the towns. Generally the roads are hilly and windy, so do take this into consideration as it may slow you down a little. The speed limit on the highways is 100km/h, but count on averaging around 80km/h as you may get stuck behind a truck. As the weather is also very changeable - and when it rains in New Zealand, it pours - , driving conditions may become difficult, so do take care. Kiwis drive on the left hand side of the road, and for those used to driving on the right, take care. Every year serious and fatal accidents happen involving foreign drivers, many of them driving on the wrong side of the road! it's illegal to use a phone while driving. Make sure you allow plenty of time and take regular breaks. The trip may be slower, but the scenery is amazing so take your time and enjoy your journey. A good resource for an introduction of the road rules for visitors who want to drive in New Zealand is provided by the New Zealand Transport Agency and can be found here. you haven’t been granted a New Zealand driver license since you last entered New Zealand. If you don't meet all of these requirements, you must apply for a New Zealand driver license to drive in New Zealand. To ride a motorcycle you must have a valid motorcycle license or special endorsement on your home country driver's license. All drivers must know the road rules, what the road signs mean and how to drive safely. Picking up a copy of the NZ road code is a wise investment that will tell you all you need to know. It's available at the NZ Automobile Association (AA) offices and bookshops. A valid, unrestricted driver's license from your home country is required to rent and drive a car in NZ. Usually you must be at least 21 years old to rent a car in NZ and under 26 often incurs a larger insurance excess. If you're tired you're much more likely to have a crash. Before driving, allow plenty of time to rest when you first arrive in New Zealand and then make sure you get plenty of rest before each long drive. Ensure you allow enough time to drive safely between your destinations. If you find your attention wandering when driving, pull over to the roadside and have a rest. Excessive speed is one of the biggest killers on our roads. If there is a line of traffic behind you, find a safe place to pull over and let them go past. Many requirements for driving a motorhome are the same as for car drivers, such as the road and licensing rules, but there are other things you need to know, such as where to dispose of your waste at dump stations. Alcohol and drugs, including some drugs given to you by a doctor, can seriously affect your driving. They can slow your reaction times and affect your senses. You risk causing death and serious injury to yourself and other people if you drive under the influence of alcohol or drugs.